Ecuador’s top law enforcement officer is investigating the roles of two senior government officials, including the country’s ambassador to Washington, in a controversial public relations contract in the United States. The country’s prosecutor general on Oct. 3 summoned Communications Secretary Fernando Alvarado and Ambassador to the United States Nathalie Cely to testify about their roles in securing that contract. Ecuadorian assemblyman Andres Paez, who requested the investigation last month, revealed the proceedings in a press release this month. "It all smells bad," Paez said of Cely’s involvement in the contract, which paid for public relations services on behalf of the Ecuadorian government in the United States. "It smells like filth and corruption." Paez was referring to a $6.4 million public relations contract awarded to a boutique firm called MCSquared PR last year. Alvarado’s Communications Secretariat (SECOM) requested the contract and Cely signed it on behalf of the embassy, according to Paéz. MCSquared was ostensibly hired to promote the Ecuadorian government’s image in the United States. 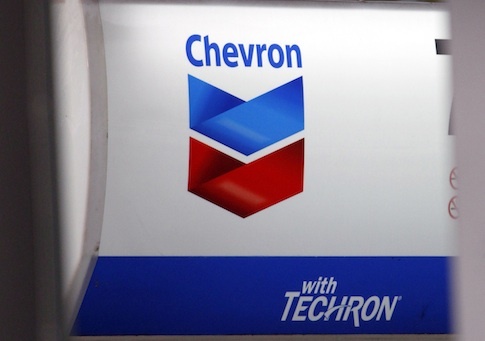 In practice, the firm’s work focused almost exclusively on American oil giant Chevron and alleged contamination in Ecuador as a result of Texaco drilling operations there from the 1960s through the early 1990s. Chevron acquired Texaco in 2001. In 2011, a team of Ecuadorian and American plaintiffs attorneys won a $9.5 billion judgment against Chevron in a court in the South American nation. Since last year, MCSquared paid actors to demonstrate outside of Chevron’s annual PR meeting, shelled out hundreds of thousands of dollars to recruit American celebrities for junkets to the Ecuadorian Amazon, and placed numerous ads in major American publications criticizing the oil company. In addition to Cely and Alvarado, the attorney general requested testimony from MCSquared executives Carmen Garay and Jean Paul Borja, actors Mia Farrow and Danny Glover, whose talent agencies were paid a combined $518,000 by MCSquared for "talent recruitment," and Richmond, Calif., mayor Gayle McLaughlin, who received nearly $5,000 from the firm to travel to Ecuador. Paéz cited "serious inconsistencies and inflated prices for services" in the MCSquared contract. The firm’s Foreign Agent Registration Act filings with the Justice Department show $1.8 million in expenses, Paéz said, even though it was paid $6.4 million for its work, according to the contract. The complaint does not implicate Alvarado, Cely, or any other named individual in any criminal wrongdoing, but merely provides the basis for a preliminary investigation. According to Paéz’s complaint, the MCSquared contract was one of nine public relations deals inked by the Ecuadorian government to conduct advocacy and propaganda activities in the United States. The assemblyman claimed that government expenditures on those contracts were excessive. He cited MCSquared outlays of $1.2 million "for the production of one video" and more than $1 million "for surveys and opinion polls." Paéz also noted MCSquared’s potential violations of federal laws in the United States first reported by the Washington Free Beacon. Despite operating in the United States on behalf of a foreign government, the firm did not register as a foreign agent with the Justice Department until months after its contract expired. All advocacy and propaganda activities on behalf of foreign governments must be reported to DOJ pursuant to FARA, a law enacted in the 1930s in response to Nazi propagandizing in the United States. "This requirement was not met, since the [FARA] filing was made 15 months after the contract was signed," Paéz noted. Garay and Borja will offer testimony on Oct. 20, according to Paéz’s press release. Alvarado will testify on Oct. 21, and Cely will do so on Oct. 27. This entry was posted in Issues and tagged Ecuador. Bookmark the permalink.